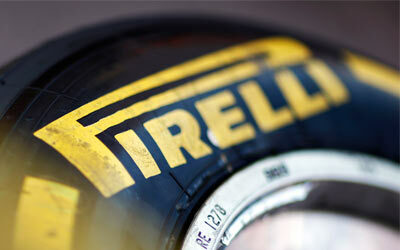 For the first time since Pirelli started supplying F1 tyres, the Italian firm opted to nominate the super soft and medium compound tyres to Albert Part for the Australian GP. An interesting choice, but one which was right according to Paul Hembery. Lotus driver Kimi Raikkonen won the Australian Grand Prix using a two-stop strategy, having started the race on the P Zero Red supersoft tyre and then completing two stints on the P Zero White medium tyre. His tyre strategy gave him a decisive advantage over all his rivals, with the remainder of the top six all adopting a three-stop strategy. Only four drivers started on the medium tyre: Adrian Sutil (Force India), Daniel Ricciardo (Toro Rosso), Sergio Perez (McLaren) and Pastor Maldonado (Williams). Paul Hembery, motorsport director: “We took the deliberately bold decision to come here with the supersoft tyre in order to spice up the action. We believe that this worked very well, with a variety of different two and three stop strategies just as we expected and seven different leaders. Kimi Raikkonen and Lotus understood the tyres perfectly, making a two-stop strategy work when many of their rivals couldn’t. It was a true masterclass in tyre management. Although they were often in different places on the track, Raikkonen and Lotus were effectively racing Ferrari and Alonso throughout the second half of the race, who were on a three-stop ‘sprint’ strategy. Seeing how those different approaches played out at the end was the intriguing part of the strategy, which led to a spectacular finish and three very deserving world champions on the podium. It’s also worth pointing out that Raikkonen drove the fastest lap of the race on lap 56: the penultimate lap, on medium tyres that were 22 laps old."